Edit: Here is part one! 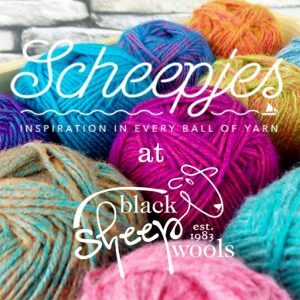 As promised, I give you part 2 of the “mini skein wonders” tutorial. I hope you’ve enjoyed part 1 as much as I did! First I made you a list of things you need. 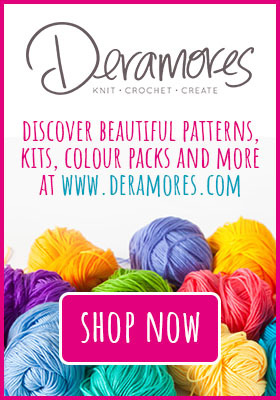 – A little bit of faux suede, or other fabric that’s sturdy enough to support your knitted piece. 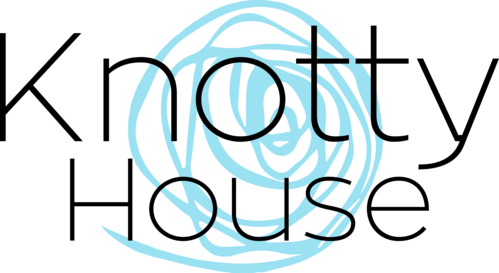 – A button with holes big enough to put your cord through. – A cord that’s approximately 70 cm(27 1/2 inch) long, and thin enough to fit through the buttonholes. 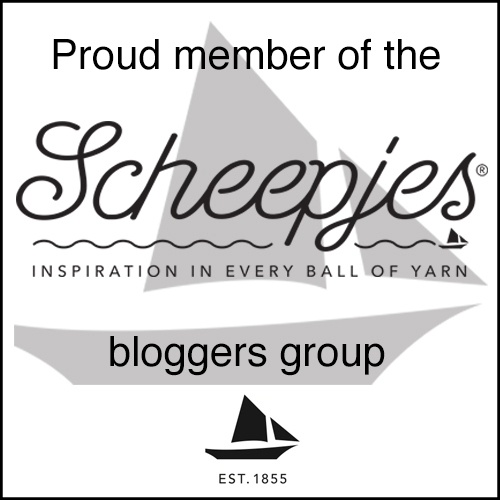 – A darning needle to pull the cord through the tunnel. 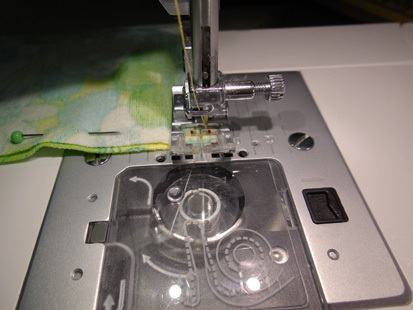 – All standard sewing supplies, such as a sewing machine, fabric scissors, ruler, tape measure, sewing pins, steam iron and ironing board for pressing the seams etc. 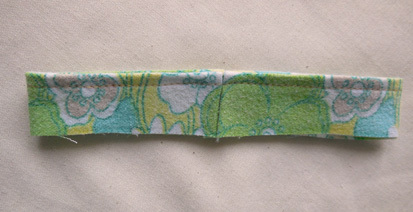 -All seams are 5 mm(1/4 inch) wide. 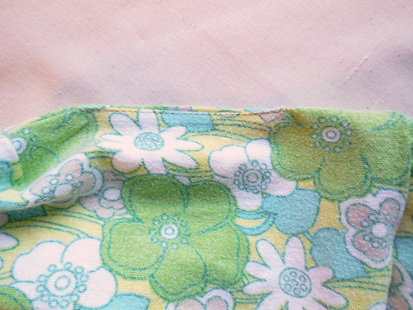 -If you sew with fabric that tends to unravel quickly, I suggest you zigzag along the edge after sewing every seam. -I recommend that you press your seams after every step. This way you get a clean finish, it’s easier to sew the next seam and it makes your seams look crisp and neat. 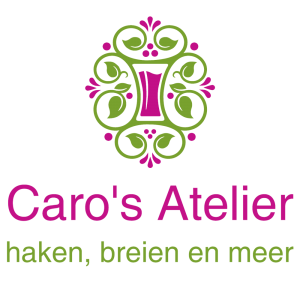 – If you are unsure of your sewing abilities at certain steps, you could baste your pieces first, either by hand or by machine. If you baste the pieces by machine, use a long stitch length. 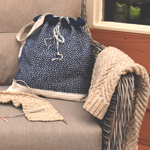 – If you don’t have a sewing machine, you could sew this entire pouch by hand. It would just take you a bit longer. 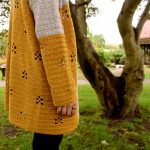 – When beginning and ending a seam, don’t forget to backstitch. -It is always wise to stop sewing with the needle down. This way you will always be in charge of your project. Cut two rectangles out of your fake suede that are 15 cm(6 inch) wide, and 10 cm(4 inch) high. This will be your bottom piece. 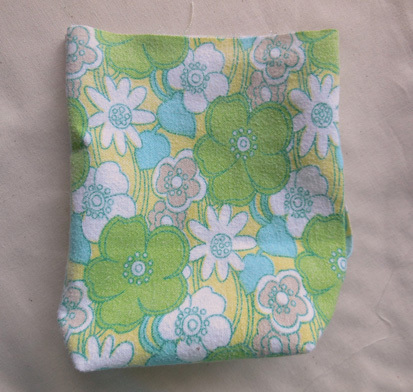 Cut two rectangles out of your lining fabric that are 15 cm(6 inch) wide, and 18 cm(7 inch) high. This will be your lining piece. 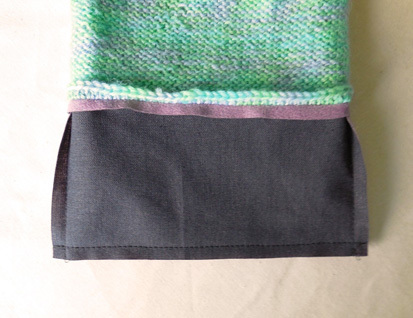 Cut two strips out of your lining fabric that are 30 cm(11 4/5 inch) wide, and 3 cm(1 1/5 inch) high. This will be your drawstring tunnel piece. 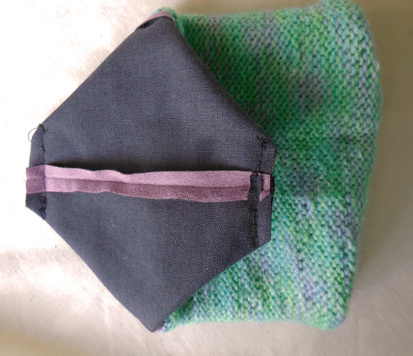 Lay your two bottom pieces on top of each other with the right sides of the fabric together. Pin and sew the side seams of the bottom piece. Do not close the bottom seam yet. 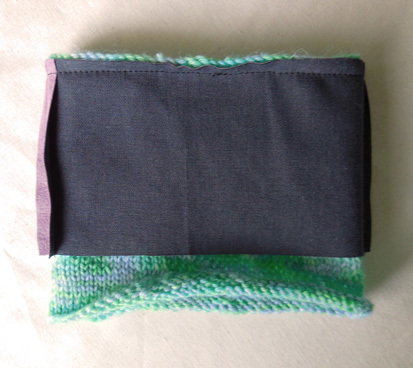 Slide your knit into the bottom piece with the right sides together (see picture above). Pin in place beginning with the center front and center back, and then pin the sides. This way you can distribute the fabric evenly, and makes sure everything is centered. 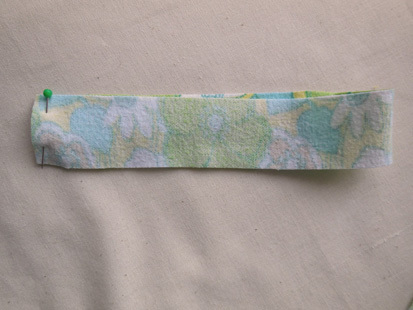 This is how it would look on the right side (after you have pressed the seam). 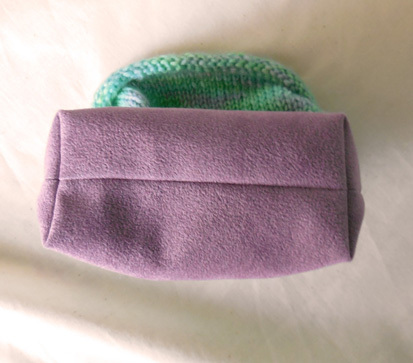 Now slide your knit piece up (see picture above), so we can sew the bottom seam of the bottom piece. Pin and sew the bottom seam with the right sides together. Now it’s time to box those corners! Lay your bottom flat in a way that the bottom seam and side seam touch each other on the right side of the fabric (the side you can’t see right now), creating a triangular shape. 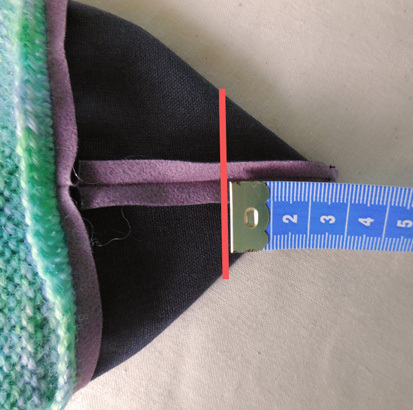 Pin it down, and measure 2 cm(4/5 inch) from the tip to the inside. 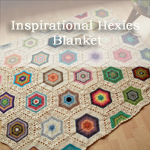 Mark this height and sew across to create a smaller triangular shape. Do the same to the other side, and clip those corners. Turn your piece right side out, and give the corners a little push. This is what it should look like from the outside. Pretty neat huh 🙂 The bottom part is now complete, so give yourself a pat on the back or a big high five (or both, I would do both), and continue with part two! 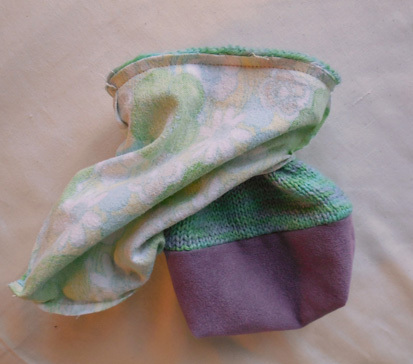 I think a lot of people fear sewing lining in stuff, but I promise, after you’ve done this, you can apply this method to put a lining in virtually anything! Lay the two lining pieces right sides together and pin the side and bottom seams, the top remains open. Leave a 6 cm(2 2/5 inch) gap at one of the sides like shown in the picture above. It is very important not to make it too small, because your whole pouch will go through there, and you will later see why. When sewing the lining you need to stop where you’ve marked your gap, backstitch in place, and continue at the second pin. 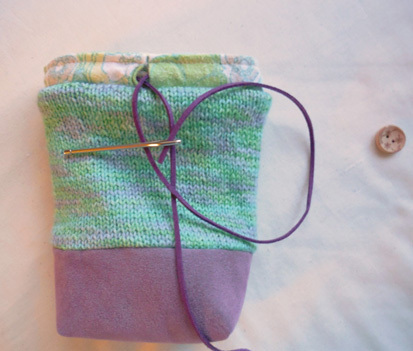 It is really important that you backstitch before and after the gap, because you need to pull your pouch through it. When reaching a corner you need to stop 5 mm(1/4 inch) before the corner with the needle down, pivot, and continue sewing. Repeat this with the second corner. Now you have to box the corners in the same manner as you did with the exterior bottom. Box ’em baby! I take my hat off for you, because your lining is complete! After your tea break continue to part three. 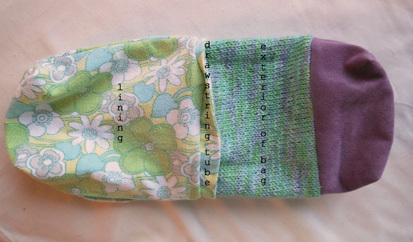 Fold one strip in half with the right sides together, and sew the side seam to create a tunnel. Fold the sides of the other strip 5 mm(1/4 inch) back with the wrong sides together. 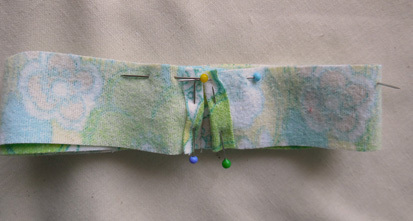 Press these folds, so it’s easier to sew them later on. Now pin the top of the strips right sides together, beginning with the folded sides. The folds become the tunnel opening. 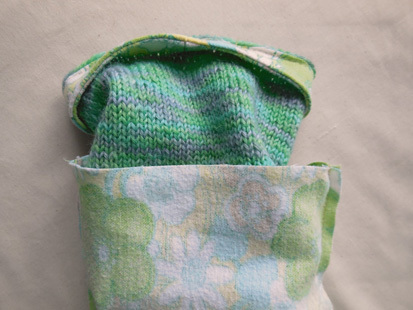 It’s important that there is no room between the folds, so make sure it stays put when you sew it. It is recommended that you baste this piece first to make it easier to sew, but you don’t have to. 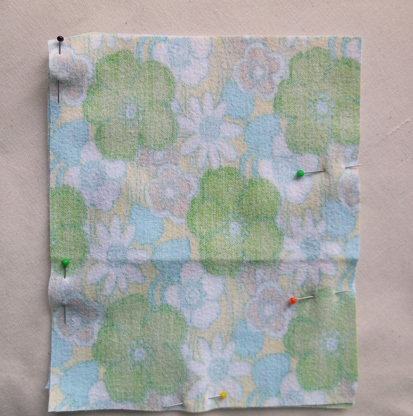 Choose a point farther away from center to prevent any shifting, and sew all around. After pressing this seam, fold the piece over with the wrong sides together, and top stitch through the top of the seam, about 2 or 3 mm(1/8 inch) from the edge. You can see that the folds of the tunnel opening are meeting each other nicely. The top stitching prevents tearing the tunnel opening, making it more sturdy, and to make the top edge look nice and flat. You’ve done great so far, and we’re almost there! It’s time to put it all together, yay! 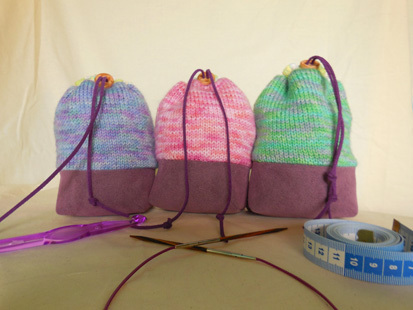 Shove the bag into the drawstring tunnel with the right sides together. The raw edges of the tunnel are facing upward, and the tunnel opening is facing the right side of the bag. Make sure the opening is in the center of one side of the bag. Also make sure the folds stay together, so you don’t get a big gap later on. Pin everything in place and baste the two pieces together (begin sewing off center like the previous step), as close to the edge as possible. Why do I need to baste so close to the edge? After this step your next stitch will be a normal stitch for sewing the lining to the bag, that will be parallel to the basting stitch . Because we’ve sewn so close to the edge, we have room for this “lining stitch” to be 5 mm(1/4 inch) wide. 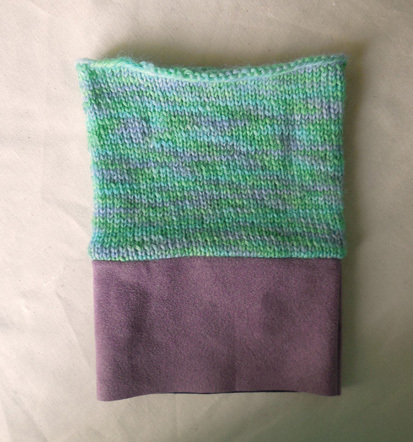 Otherwise there is a chance that you need to make your seam wider (which is a shame of all that knitting you did), or the basting stitch will peek out when you turn your work right side out. After you’ve basted your tunnel to the bag, it’s lining time! Shove the bag into the lining with the right sides together. All the raw edges meet at the top. 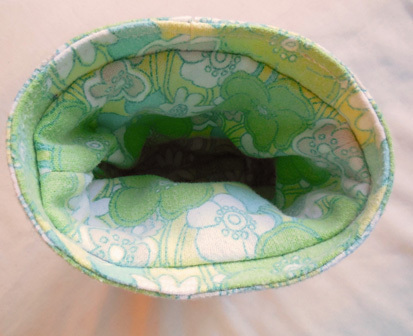 Make sure the drawstring tunnel is facing down, like the picture above. Pin it in place, beginning at the center front and back, and then do the sides. All you can see now is wrong sides of anything, that’s good! If you want to baste it first, go ahead. Now sew the top, slowly. Now it’s time for a little magic, the moment where you have been waiting for! Stick your fingers into the gap, in the side of your lining, and pull the bag all the way out. All you can see now are right sides of anything, that’s good. Now push the lining into the bag, and press the lining in, so it is nice and flat. 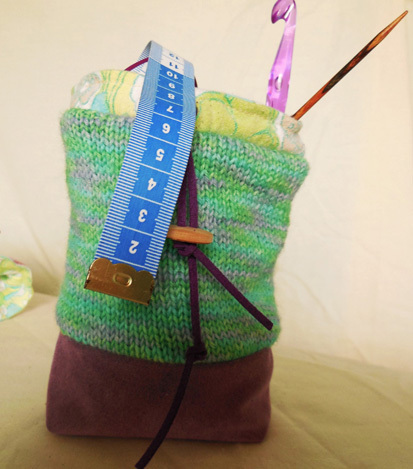 Of course, a drawstring pouch, wouldn’t be a drawstring pouch if it wasn’t for the actual string. 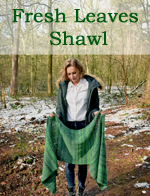 So take a darning needle and your string, and pull the string through the tunnel opening. Take your button, and push one end of the string through the button hole. Then repeat for the other end. 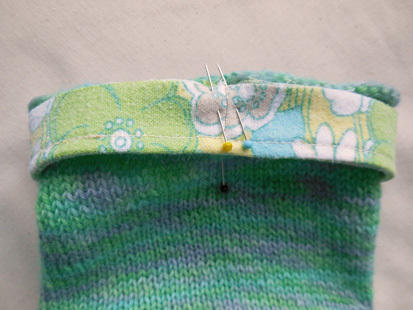 Tie some knots at the end of your string where you want the button to stop, and trim the ends if necessary. Now your done! 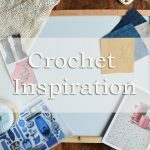 I would love to see your finished pouch(es)! You could email me pictures to aspoonfulofyarn@hotmail.com, tag me on instagram: @xxkurisuxx or send photo’s to the a spoonful of yarn facebook page.